Well known in the Midwest, pasties are a familiar comfort food. Enjoyed year-round, the delicate pastry that is filled with a savory mixture of meat and vegetables is particularly tempting in the cold weather months. 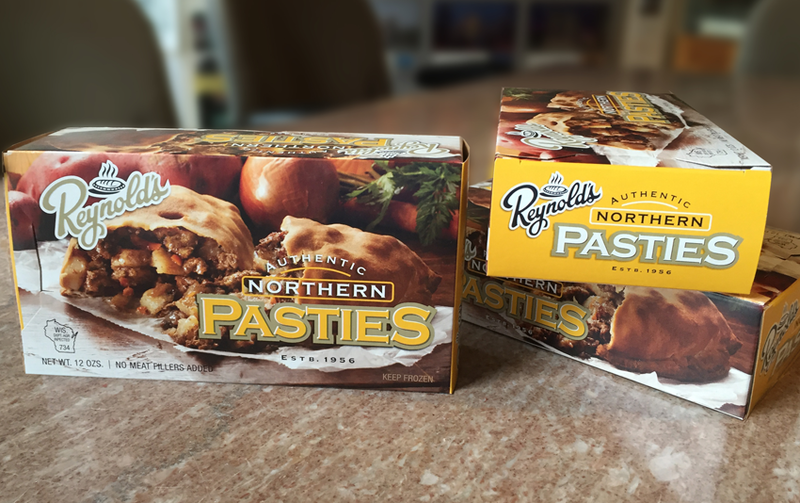 Established in 1956, Reynold’s Pasties is one of the oldest makers and distributors of this “Up North” favorite. With the help of a renowned food photographer, Grace Natoli Sheldon, Becker Design set out to create packaging that looked as tasty from the outside as the contents within.